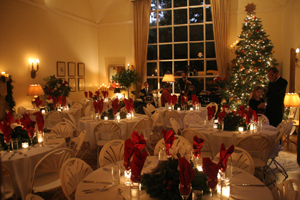 a holiday sit-down dinner, entertainment by the Gil Gundersen Trio and Elender Wall, singer. President Rosemarie Reisch greeted the guests and expressed her appreciation to the many local and Berlin sponsors for their donations. 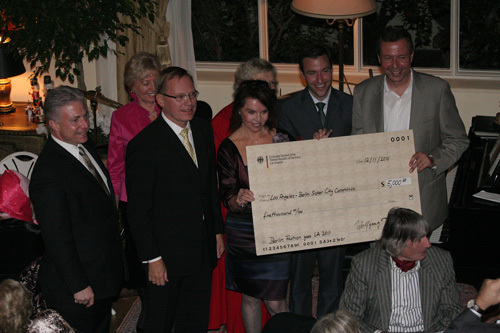 She thanked Consul General Wolfgang Drautz and the German Consulate General for their generous contribution of $5,000. 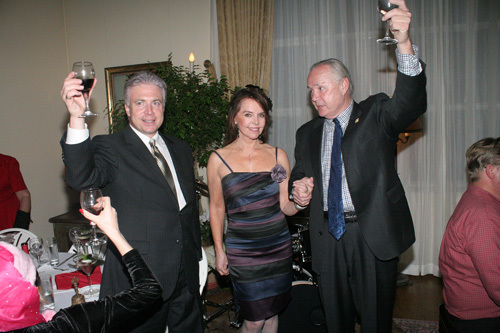 toward the fashion show which will be organized by the LA-Berlin SCC in partnership with Checkpoint Charlie Foundation Berlin and the support of the Senatskanzlei and Berlin Partner GmbH. At this event, 5 young Berlin designers will show their fashion on May 18, 2011 at the beautiful Vibiana Cathedral in Downtown Los Angeles. Since it is our mission to promote exchange programs in different areas between LA and Berlin, we are proud to present the upcoming exciting "Berlin Runway Fashion Show".